“40 Day Dream” by Edward Sharpe & The Magnetic Zeros. This is the third installement of the band’s 12-part music video series entitled, SALVO! 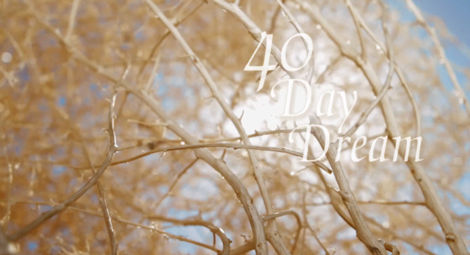 Edward Sharpe & The Magnetic Zeros – 40 Day Dream from Edward Sharpe on Vimeo.